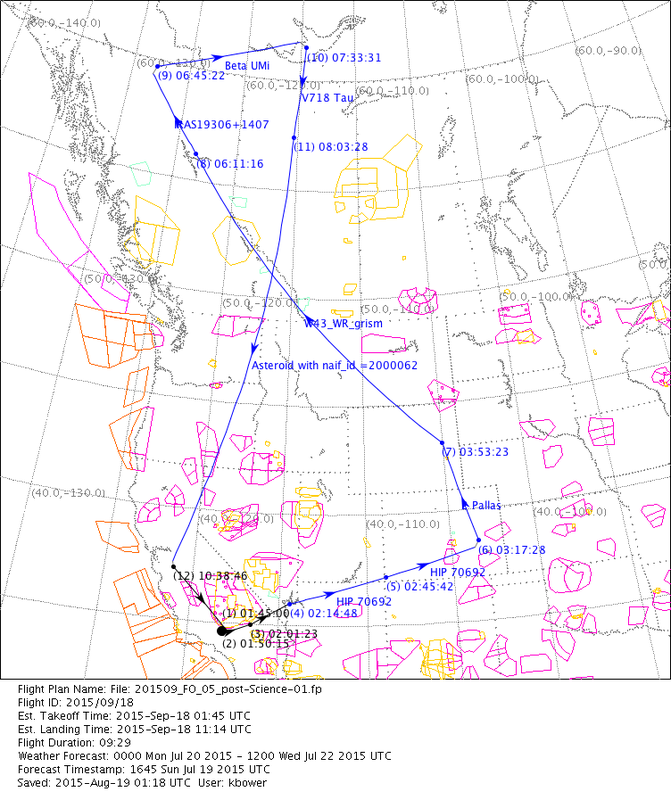 The flight plans for our two flights have been published by NASA. Update from NASA’s SOFIA Team: The areas coded by color on the flight plans indicate restricted areas for flight, requiring various levels of clearance. On one recent flight, SOFIA had to change the flight path mid-flight, and got special permission to fly through “Area 51”. That’s a great question Christy. Right now, I don’t know, but I’m trying to find out. When I do, I’ll let you know here. 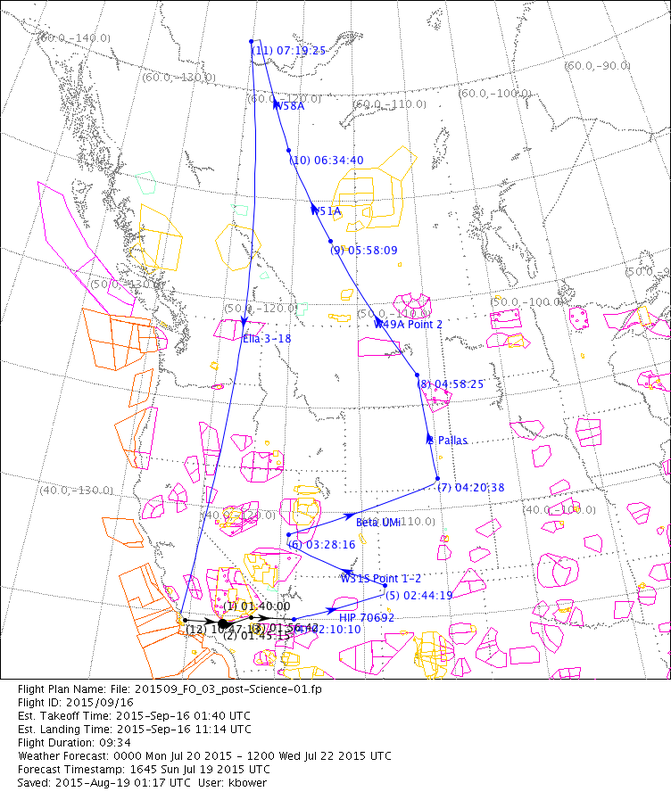 See the update above from the NASA SOFIA team regarding the colored areas on the flight plans. It is getting better by the day. I just took a quick peek at your flight plans and it is amazing. If I am getting this right, you guys have an amazing trajectory with extraordinary checkpoints along your stratospheric route. There is a Greek legend regarding UMi and the old dragon wing, I think Beta (Kochab) is the second important star? Not sure. So many constellations and asteroids at your display, that’s amazing. Are you guys looking at the Planetary Nebula 19306+1407? And don’t stare for too long at Erato, according to Greek mythology she had a strong influence… not to worry. Indeed Mr. K, that’s probably a once in a lifetime opportunity to experience this unique view of our universe from a stratospheric front seat. Thank God for this marvelous opportunity. That’s a good question Katie! The blue lines with the arrows on them are the projected paths that the SOFIA aircraft is planning to fly.